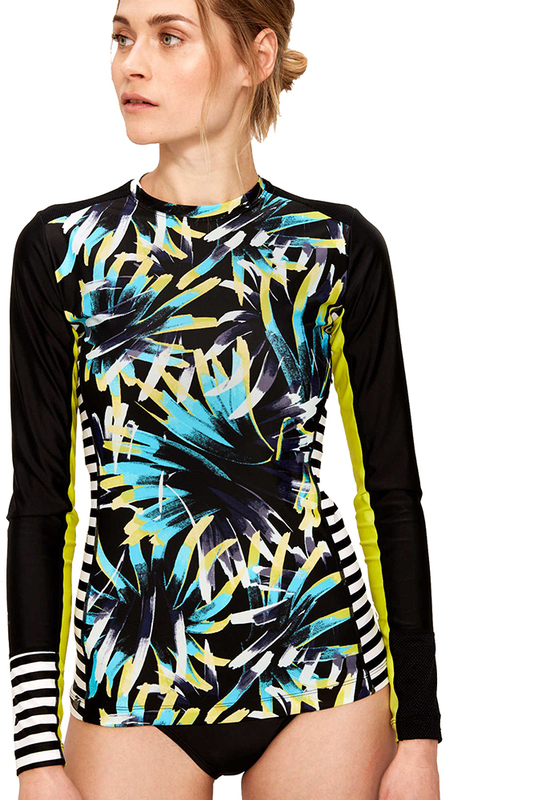 "You will look great doing water sports in this slim fit Lole rashguard. Thanks to the zipper and mesh inserts at the back, it is easy to put on and dries quickly. This swim fabric is responsibly made from a wonderful nylon fabric that comes from post consumer waste. Made from regenerated fibers "